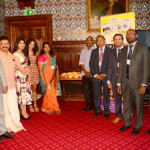 Onam celebrations were held at the British Parliament on the afternoon of 14th September. 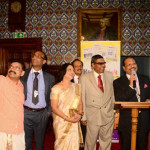 In this event run by Kerala Link and the Kerala Business forum, British lawmakers joined current members of the Kerala Business community to commemorate the most popular Malayalam festival. 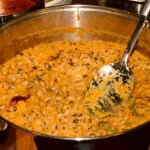 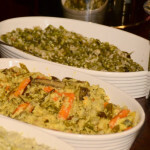 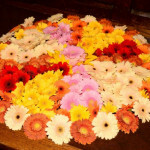 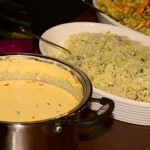 A beautiful Pookalam was laid in the Jubilee room, and a variety of Onam dishes (prepared by top South Indian restaurant, Malabar Junction) were served on a banana leaf. 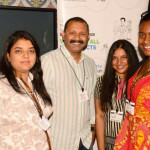 Surprise guest at the event was the Managing Director of Lulu Group Mr Yusuff Ali, who was in town. 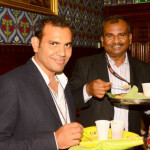 He dropped in and joined the MPs and Lords to celebrate Onam. 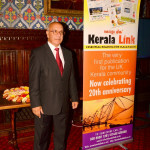 He wished everybody a Happy Onam and said Onam is celebrated all over Kerala, irrespective of their religion. 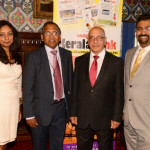 After the meal, an awards ceremony, presented by MP Virendra Sharma and Loughton Mayor, Carol Davies, celebrating the success of prominent Malayalee businesses. 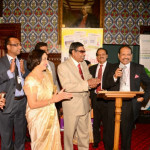 Awards were presented to Joyalukkus, the world’s favourite Indian jeweller, Swayam Properties, a highly reputed Estate Agency managed by husband and wide duo Sheeba and Anil Kumar, Mrs Gemini KunnenKeril, who single-handedly manages Highway Services, two petrol stations, an MOT centre and a car wash, and Mr Padma Kumar, who heads a specialised company which provides high specification catering equipment to airlines and railway companies. 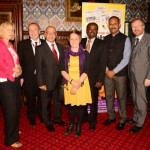 Online Home tuition provider, Tutors Valley presented an award to their student Grace Anna Baby who secured 8 A* in the recent GCSE Exam. 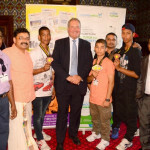 A certificate was presented by Mr Bob Blackman, MP forHarrow East. 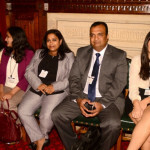 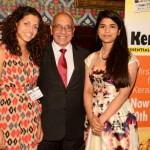 The event succeeded in establishing a strong connection between British law makers and the Kerala Business community, as MPs learned about both Kerala’s culture as well as its contribution to Britain’s economy. 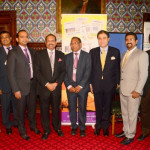 The event was organised by Councillor Philip Abraham, deputy Mayor of Loughton, with support from Kerala Business Forum leaders Mr T Haridas, Mr B George and Mr Pius John.